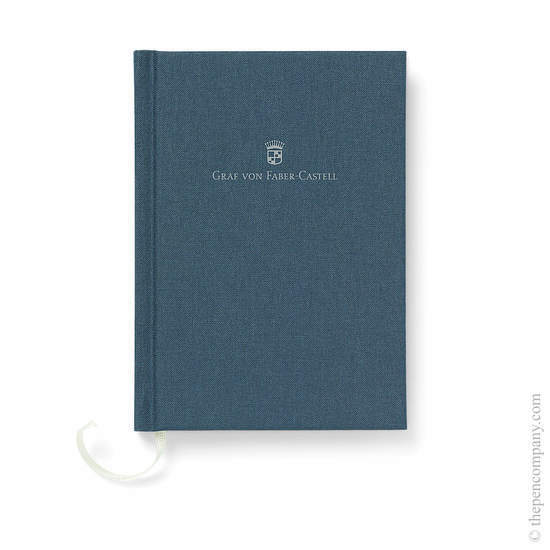 Graf von Faber-Castell's acclaimed Pen of the Year series returns with another outstanding limited edition piece. Featuring white 'statuario' marble from Carrara or black 'Nero Marquina' marble from Biscay, the 2018 model celebrates an epoch that saw an empire spread across three continents, forever influencing our world. 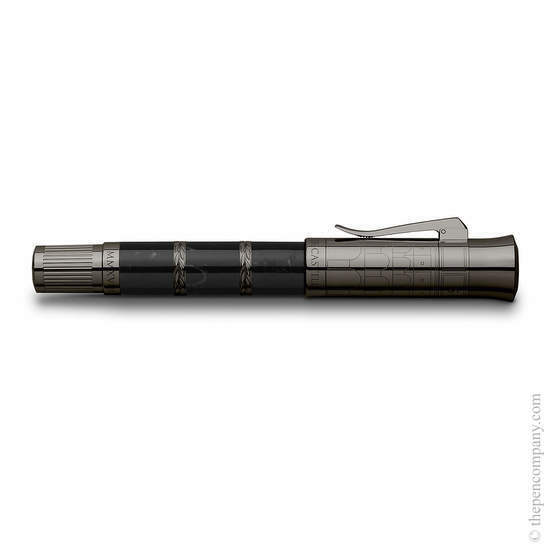 Stories of emperors, gladiators and blossoming culture are embodied within the design of this special, strictly limited Pen of the Year, named 'Imperium Romanum'. 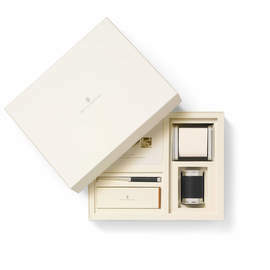 Each individual item is produced by hand in the Stefan jewel studio, where the marble is divided by platinum-plated or anthracite-grey rings adorned with laurel-wreaths, symbolizing fame and success. 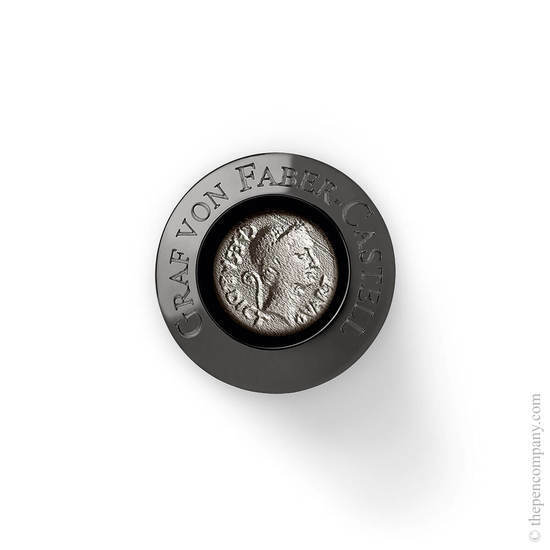 The cap has been intricately engraved to portray the famous Colosseum and its cap end is crowned by a Roman denarius, a very rare coin from 44BC depicting Julius Caesar, who was the first ruler to be represented on Roman coins during his lifetime. The original piece on which this is based was sourced by the prestigious dealer and certified coin expert Ritter in Düsseldorf. 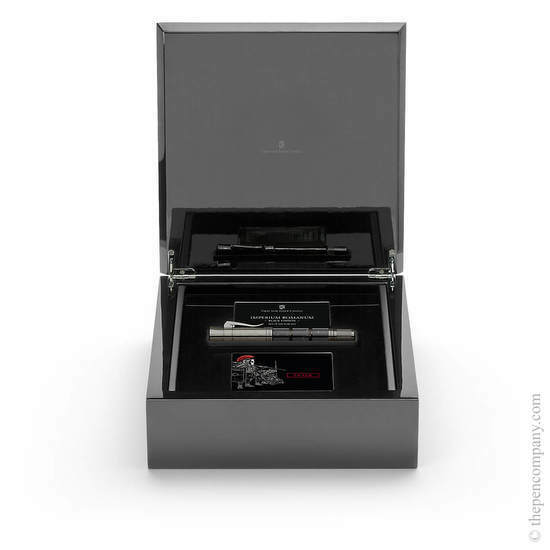 Each individually numbered pen comes in a highly polished black wooden case with a certificate bearing the signature of Count Charles von Faber-Castell. 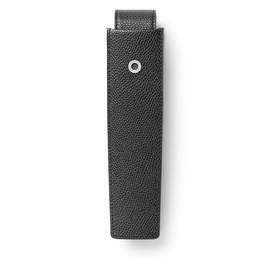 Graf von Faber-Castell have created this exquisite 'Black Edition' as an opposite number to the white 'staturio' Pen of the Year 2018. The visually striking jet black 'Nero Marquina' marble originates from the Basque region of the Iberian peninsula, its pronounced white veins combining with the anthracite-grey titanium PVD finish to great effect. 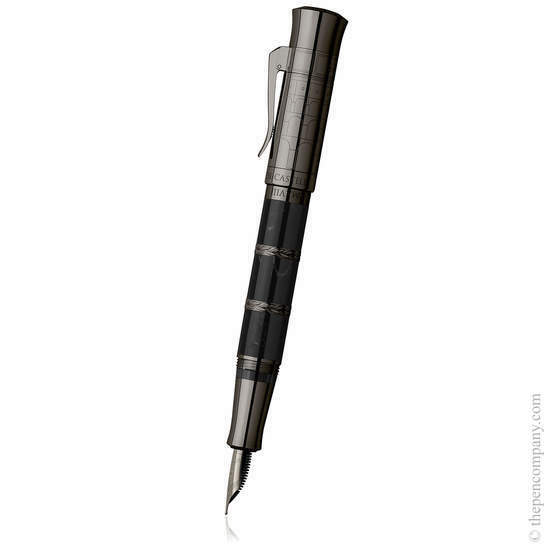 The pen uses an 18 carat ruthenium-plated gold nib, available in a medium width. An end cap protects the rotary knob of the plunger mechanism. 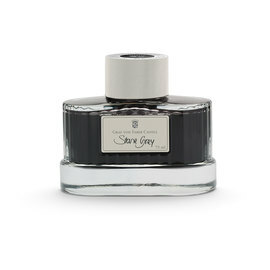 This very special fountain pen is limited to 330 pieces worldwide.